what is a pedigree? 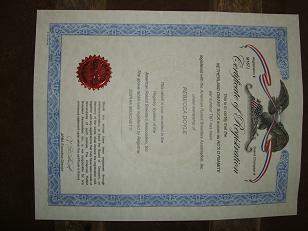 what is a registration certificate? corrections I'd love to hear them! color, weight, name and ear number. This is a picture of the pedigree style that I use! Do not change any part of your rabbit's name. his pedigreed name must stay RD's Buster! 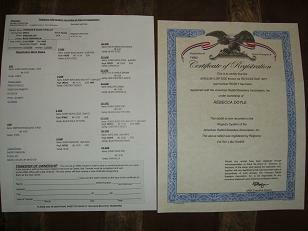 BOTH of your rabbit's parents are Registered! 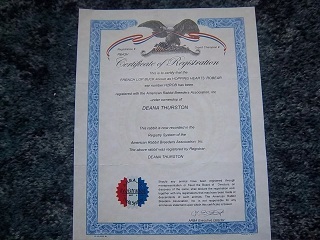 A Registration Paper with a Red&White Seal. 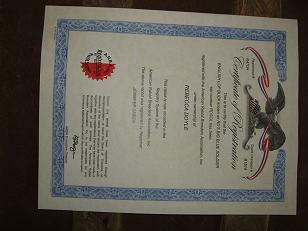 A Registration Paper with a Red Seal. 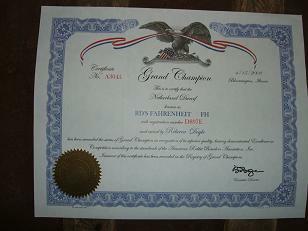 A standard Registration Paper (both sides). be owned by at least 3 different people. according to the standards of the ARBA." along with the BIS Award certificate! award a special ribbon for BOV (best of variety).